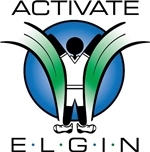 Activate Elgin and the City of Elgin invite you to walk your neighborhood with Mayor Kaptain as we all work together to make Elgin a healthier community. Each 45 minute walk starts at 6:30 pm. We hope you can join us! The first walk is on May 30th for the Rolling Knolls Neighborhood starting at Rolling Knolls Forest Preserve, 11N260 Rohrssen Rd. Check out the Walk with the Mayor page for the full schedule. Walk status updates can also be found on the City of Elgin Facebook page, facebook.com/cityofelgin. Mayor Kaptain's Walking Challenge begins on April 6, National Walking Day. The mayor is looking for 1,000 or more people to join him to walk a cumulative 210,000,000 steps or more. The challenge ends on May 18, National Employee Health and Fitness Day. Register here to record your steps.